Cosmetic & Reconstructive Services Key West/Marthon - True Plastic Surgery Of The Florida Keys - True as Seen on HBO and Good Morning America! Whether you are seeking to improve the contours of your face or body, attain the figure you've always wanted, or give your skin a more youthful appearance, we can help.  True Plastic Surgery of The Florida Keys offers a wide range of surgical and non-surgical options tailored to the individual needs of the patient! Facelift-A face-lift is the most extensive way to remove or reduce the appearance of wrinkles and sagging of the face caused by age. In a traditional face-lift, the skin is literally lifted off the face so that the skin and the tissues beneath can be tightened and the skin can be repositioned smoothly over the face. Rhinoplasty- Rhinoplasty is surgery to reshape the nose. It can make the nose larger or smaller; change the angle of the nose in relation to the upper lip; alter the tip of the nose; or correct bumps, indentations, or other defects in the nose. During rhinoplasty, the surgeon makes incisions to access the bones and cartilage that support the nose. The incisions are usually made inside the nose so that they are invisible after the surgery. Depending on the desired result, some bone and cartilage may be removed, or tissue may be added (either from another part of the body or using a synthetic filler). After the surgeon has rearranged and reshaped the bone and cartilage, the skin and tissue is re-draped over the structure of the nose. A splint is placed outside the nose to support the new shape of the nose as it heals.Rhinoplasty is surgery to reshape the nose. It can make the nose larger or smaller; change the angle of the nose in relation to the upper lip; alter the tip of the nose; or correct bumps, indentations, or other defects in the nose. Eyelid Surgery (Blepharoplasty)- Eyelid surgery (also called an eye lift or blepharoplasty), reduces bagginess from lower eyelids and removes excess skin from the upper eyelids. This surgery is usually done for cosmetic reasons. It's also an effective way to improve sight in older people whose sagging upper eyelids get in the way of their vision.Eyelid surgery (also called an eye lift or blepharoplasty), reduces bagginess from lower eyelids and removes excess skin from the upper eyelids. Brow Lift- Surgical or non surgical elevation of the brow to improve aesthetics and/or vision. Cheek Implants- Placement of implants to create better contours to the mid-face and cheekbones. Chin Implant-Implant to add projection to the chin and jaw to help balance the face. Thigh Lift- During a thigh lift, a surgeon makes a cut on the upper and inner thigh and removes excess fat and skin. The surgeon also often does liposuction before, during, or after the procedure. We believe in giving people the opportunity to enhance their appearance and their lives through plastic surgery! Men are usually happy to find that there are many procedures available to help them achieve their body goals!